Chris Pither will start his qualifying race from 26th after the team was excluded from the co-driver qualifying race. The Super Black team’s tyres were below the minimum tyre pressure of 17psi. 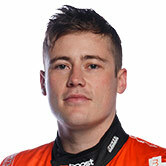 Kiwi racer Richie Stanaway finished the race 17th in the Prodrive Ford Falcon FG X before the penalty was applied. Team manager Greg Hahn was unsure how the error was made. “We haven’t gotten to the bottom of how it’s happened, but we’ve exceeded the minimum pressures – pretty disappointing,” he told supercars.com. 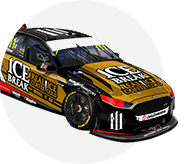 While it was tough to accept the exclusion, Hahn was impressed with Stanaway’s performance in what was his first Virgin Australia Supercars Championship race. “We’re pretty happy with the way Richie went, he jumped up there and immediately started to progress up the field which we didn’t expect anything less when it comes to race-craft, so that was good. 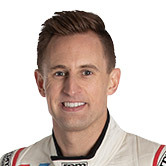 The result means defending champion Mark Winterbottom will gain a position after a drive-through penalty for his co-driver Dean Canto pushed him to start at the back of the grid.